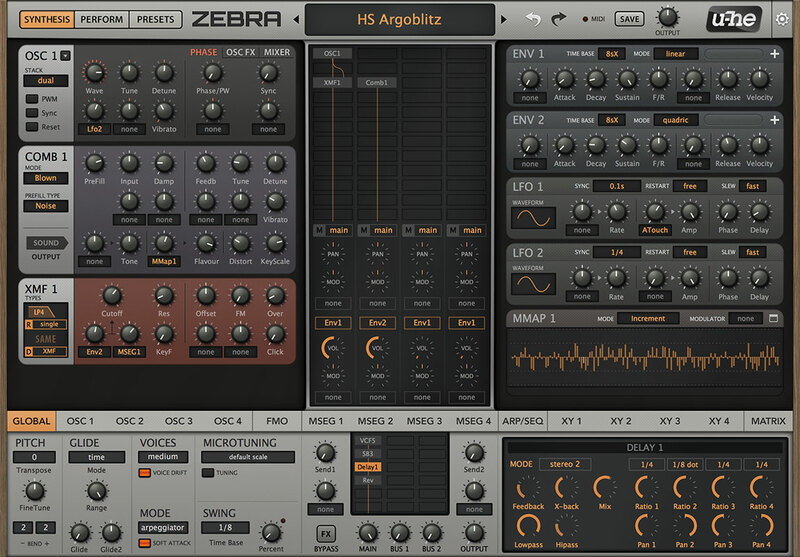 Zebra is our wireless modular synthesizer. It combines many different types of synthesis with a powerful modulation engine. 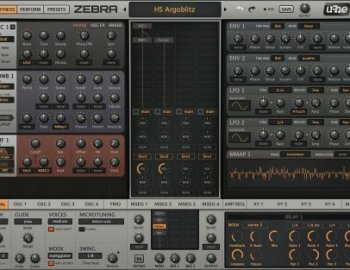 Imagine — you can create any additive, freehand or spline-based waveform you like, apply a vast selection of spectral effects, morph between those waves and send them through classic synth filters. Perhaps use that entire sound as modulator for an fm oscillator, or route it through a comb filter —the building block of physical modeling synthesis. All generator modules, all signal paths, all effects are stereo. Although the possibilities are practically infinite, you will never be overwhelmed by needless complexity —Zebra’s adaptive interface only shows the modules you are actually using. It is a fascinating playground for sound designers. That is what Zebra is all about, that is why it has become so popular. That is why thousands of free presets are available online.